This is a very simple but insanely tasty broccoli recipe. Kids would love it! Crush the garlic. In a small bowl, take the oil and add the cruched garlic. Let it infuse for 15 minutes. 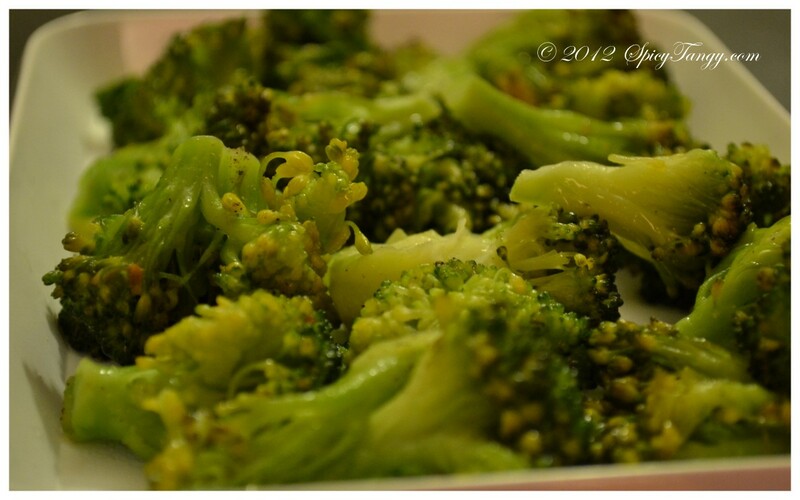 Cut the broccoli into florets and wash them thoroughly. Steam the florets for 3-4 minutes and put them in ice water. Take out and set aside. Add the garlic oil to a pan and turn on the heat. Add the brocolli florets and stir-fry them. Make sure you turn them so they are cooked on both the sides. simple and yummy broccooli.you are great.